With this question and this question both receiving some attention recently, it made me think - which anime was the first to receive a dub? Some of the first anime available in western countries such as Astro Boy had dubs produced in the 1960's as stated in the linked wikipedia article, but which show was the original one to have an officially produced English dub? 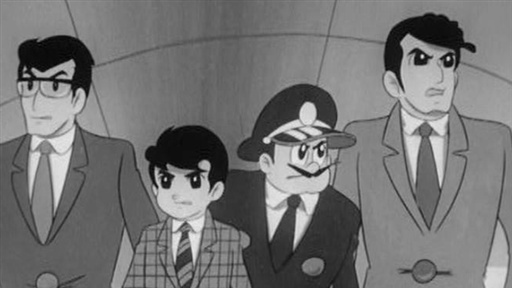 According to Wikipedia, the earliest anime to air dubbed in English is Tetsujin 28-go (known in English as Gigantor), which started airing October 20th, 1963 in Japan on Fuji TV and then the dub started airing in 1964 in the United States on WPIX New York and, according to page 319 of Watching Anime, Reading Manga: 25 Years of Essays and Reviews by Fred Patten, was distributed by Trans-Lux Corporation. Since the English dub was so heavily re-written, 13 of the English episodes were dubbed back into Japanese and aired in Japan from September 1st, 1965 through May, 1966 as if they were a reboot or sequel. It was subsequently broadcast in Australia and New Zealand. 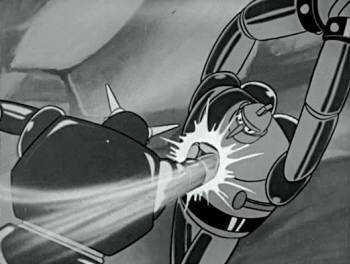 According to Japan's Agency for Cultural Affairs Manga, Animation, Games, and Media Art Information Bureau's Japanese Animation Guide: The History of Robot Anime, Tetsujin 28-go is considered "the ancestor of all giant robot anime shows." The anime was black and white, and a radio drama and a live-action series had been adapted from the manga previously. Whether the dub was recorded first or not is unknown, as four TV anime were dubbed into English and started airing overseas in 1965 (in other words, they could possibly have been voice recording at the same time). These are Tetsuwan Atom (known in English as Astro Boy), Jungle Taitei (known in English as Kimba the White Lion), Wonder 3 (known in English as The Amazing 3), and 8 Man (known in English as 8th Man): 3 out of 4 being from the "god of manga" Tezuka Osamu. Is it a common practice to change the title into something different? Does Sailor Moon Crystal contain the Black Moon arc of the manga (Pluto and Chibiusa)? How does the English Sub/Dub system work?